Print booklets online in a few easy steps with QuantumPostcards. Select product options to create a custom booklet then upload your booklet for printing. Our booklet design upload can be used for PDF, jpg, jpeg, png, bmp, eps, tif, tiff files. We also accept source files (doc, docx, ai, psd, xls, pub, ppt, pptx). All booklet order pricing will include a $25 Conversion Fee that includes a full file conversion to print-ready format and also a Professional Review. 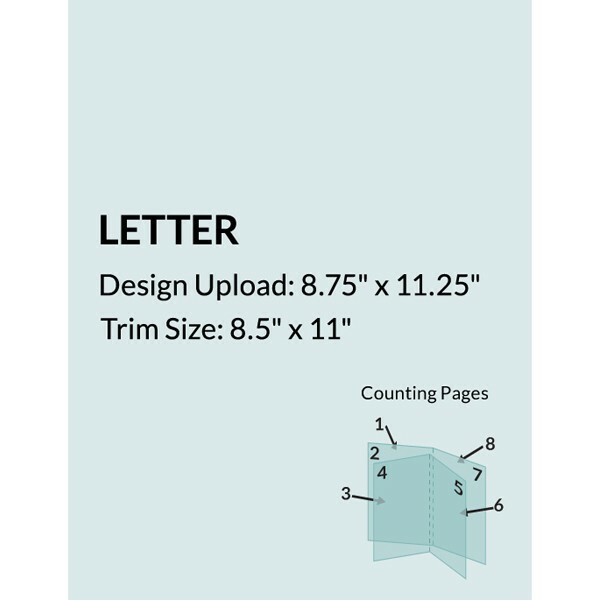 Letter: 8.5" x 11" Jumbo: 5.5" x 8.5"
The number of pages in your booklet, including the cover sheet. See the design guideline templates or the product image for additional information. The paper used to create the "cover" of your booklet product. The paper used to create the "pages" of your booklet product.